Is your diet too much for your brain? 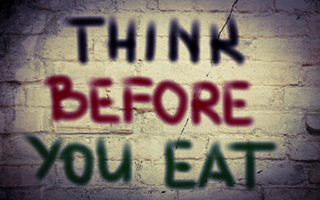 Eating more than you need to eat has more consequences than you might imagine. High calorie diets lead to more than just weight gain. They also shorten your life and increase the risk for many chronic diseases. And now the results of a new study show that eating more than you need also causes your brain to deteriorate and malfunction. Just last month, researchers finished looking at a group of mice on different diets. One group ate a standard calorie diet. The second group ate a lower calorie diet. And the third group ate a higher calorie diet. Before the experiment started, the researchers measured the memory and learning capacity of the mice. They also examined the changes in the hippocampal brain cells and the ability of these cells to function effectively. The hippocampus is the area of the brain that becomes damaged in dementia. Here's what happened after only 10 months. Not surprisingly, the weight gain was highest in the high calorie group and lowest in the low calorie group. But that's just the starter. According to the authors, compared to the standard calorie group, the memory and learning capacity of the mice "was significantly increased in the calorie restricted group, and significantly decreased in the high calorie group." In effect, the more calories they fed the mice, the worse they were able to learn and remember. And when it came to all of the brain-cell studies, the hippocampus cells were damaged and showed signs of decreased function in the high calorie mice, while they were normal in both lower calorie groups. So what does this mean for us? This study was on mice not people. But similar studies conducted on mice with different calorie diets have consistently had the same results — even when compared with people. So there's no reason to suspect that this study doesn't apply to us as well. People who eat more than they need to don't live as long or as well as those who just eat what they need. I have to admit that even though I am slim, I often eat more than I really need. And it doesn't much help that Mrs. Shallenberger is a great Italian cook! But when I look at convincing studies like this, I have to wonder just how important that extra ravioli is? Dong W, Wang R, et al. Influence of age-related learning and memory capacity of mice: different effects of a high and low caloric diet. Aging Clin Exp Res. 2015 Jul 3.